The Centennial High School Homecoming Court stood on the track at half time of the football game, waiting to see which prince would be crowned king. The honor went to Nick Garcia, a co-captain of the football team. But the king quickly abdicated. 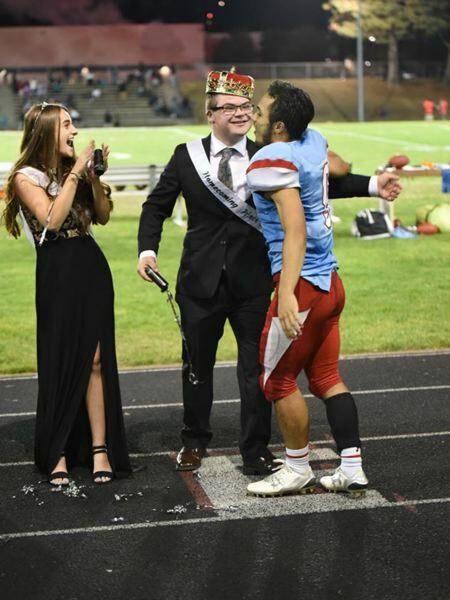 After being crowned, Garcia, like a flash, ran to the end of the court and placed the king's crown on the head of 18-year-old prince Kendall Beasley, who experiences Down syndrome. The crowd erupted into cheers and hoots. "This display represents a continuation of amazing love and peer support from the students at Centennial High School," said Beasley's mom, Cheryl Beasley, who was deeply moved by Garcia's kindness. "It was an emotional gesture." Butch Self, Centennial's new football coach, wasn't a bit surprised by Garcia's kindness, calling it typical of him. "He's just a great kid," Self said. "He'd extremely mature for a high school student. He's unselfish. He gets it." Beasley was nominated to the court by Megan Blaga, a longtime friend, neighbor and classmate. She was the princess at Beasely's side when Garcia resigned his throne in favor of Beasley. Self said Garcia is "a great leader. He mentors the younger kids on the team." Garcia "sees a bigger picture than a lot of high school kids," Self said. Self noted that Garcia has made his transition to coaching Centennial easier with his leadership, adding that while the team was between coaches, Garcia organized workout sessions to keep the players in shape. 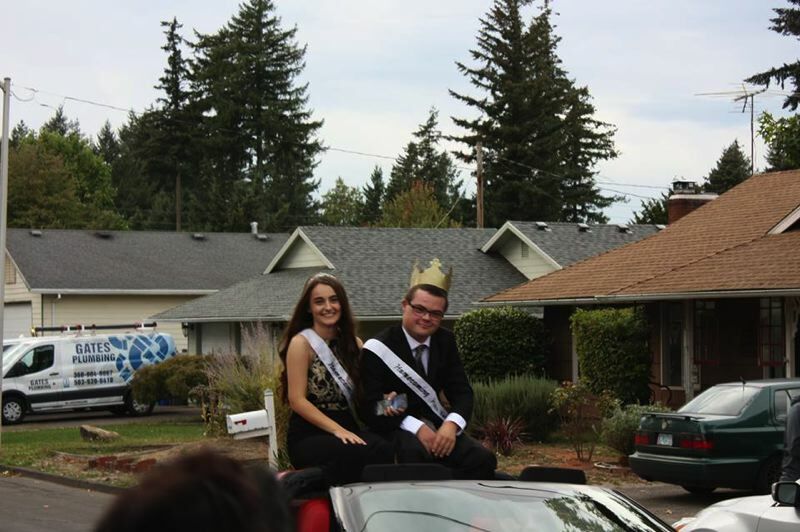 After his abdication, Garcia, who plays every position except quarterback, immediately ran back to the team to help the Eagles soar to victory over Hillsboro's Century High School in the homecoming game. Garcia scored a touchdown after a thrilling 56-yard run, and the Eagles won over Century, 55 to 28.